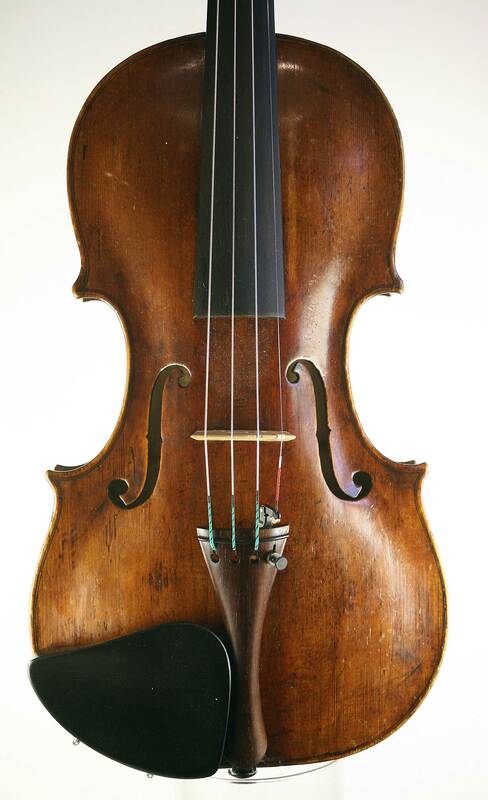 This is a good mid 18th century Mittenwald violin with an apocryphal Amati label. 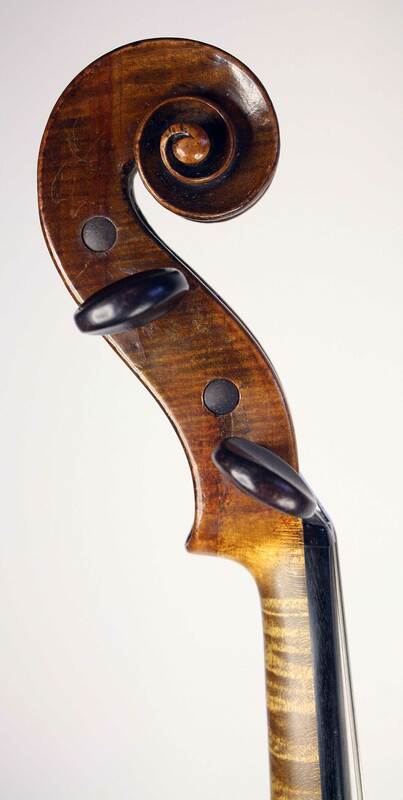 The head is not original, belonging definitively to the Vieux Paris School of the late 18th century. 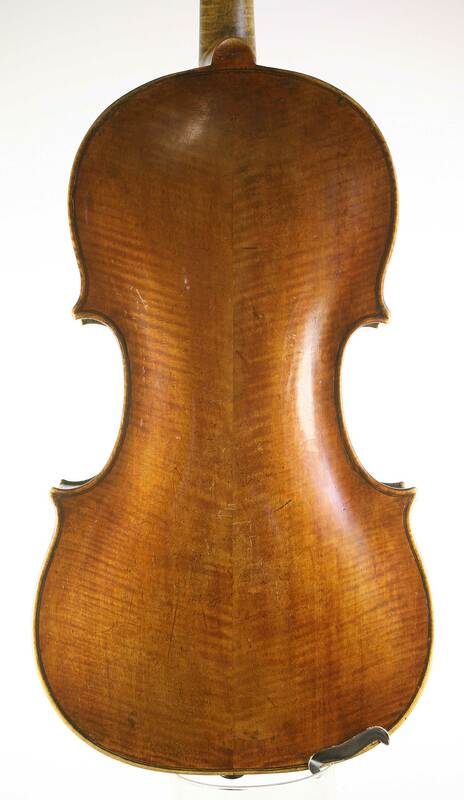 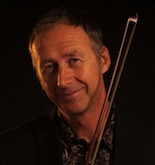 The violin has particularly good edgework, the corners and typically outward-sweeping c-bouts are very elegant, and the upwards flame of the back is spectacular.